pretty.pretty.paper: the intentions were good. but the follow through, lame. i'm in the mountains for the weekend and i had planned a nice bike ride (it's not even hot here) but instead i sat around painting my nails and drinking coffee. tomorrow is always another day, right? 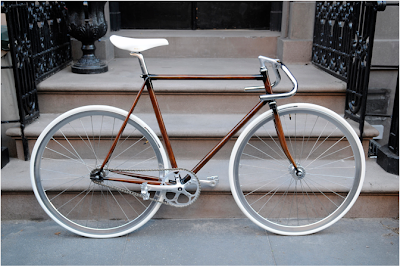 ps - isn't that hand painted wood grain bike the best? i kinda want to take my bright blue orbea and well, give it a face lift. I'm still working the pedi from when I saw you last. It's BAD. COME BACK TO LA. what a sweet bike! wow. Eh, you can go for a bike ride any time. Time in the mountains is meant for relaxation! I think the misters discovered his new summer splurge. have you ever had one of those mornings? my phone is off for you. beach balls and striped kites. can i have this please? hi, new favorite online shop. i'll take one, or two, or maybe three?